The lead-up to The Flash’s milestone 100th episode promised a trip down memory lane with some old friends and foes (mostly the latter) – showcasing a Flash event unlike any that have preceded it. With so many appearances by previous seasons’ big baddies, “What’s Past is Prologue” ran the risk of doing what so many episodes of its kind tend to do: being incredibly underwhelming, or way overdone. I could go into the whats and hows of which of these would be preferable, but I’ll skip that in favor of cutting right to the chase. “What’s Past is Prologue” doesn’t do either of these things; in fact, it’s a wonderfully nostalgic and riveting viewing experience. Barry and Nora travel to different moments from past seasons in order to develop a device they can use against Cicada. After they leave, Sherloque Wells steals Nora’s journal, finding something to be particularly “off” about the pages, as they contain the same indecipherable characters that Barry was scribbling on the walls when he first came out of the Speed Force in Season 4. 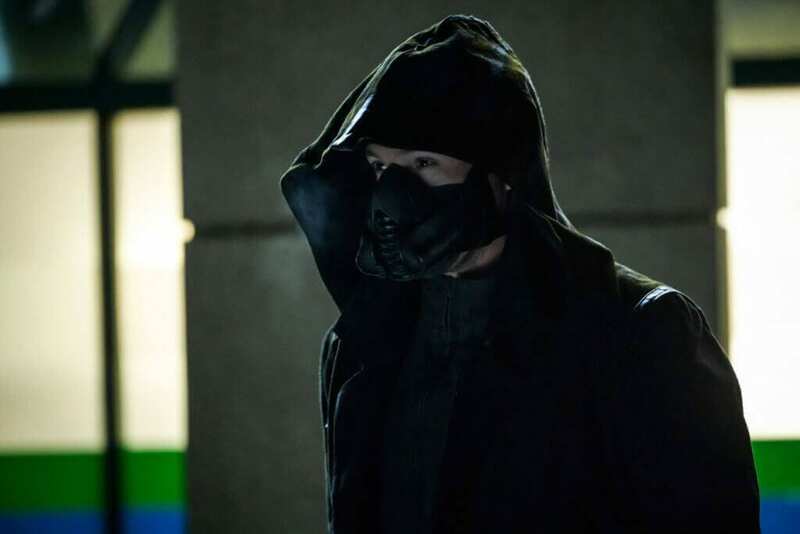 When they first arrive in the past at the last battle with Savitar, however, a Time Wraith shows up and chases them back into the timestream as they make their way to the next stop on their journey. In the Season 2 timeline, present-day Barry manages to stop Earth-2 Wells from breaking the Speed Force transfer device in order for him and Nora to take it back to the future, but Zoom shows up chasing them into the timestream. The Time Wraith shows up once again and pulls Zoom away from the father/daughter duo before he can catch them, and they end up in the time to which Barry initially traveled to ask for Harrison Wells/Eobard Thawne’s help. The trip through the timestream broke the component they had just obtained, however, and they must resort to getting aid from the Reverse Flash. Thawne muses about Barry bringing his daughter right to him, asking if it’s “Dawn” (Barry’s actual daughter from the comics). He also asks about the various foes Barry has had to face since their last confrontation as he repairs the device before returning to his Time Vault just in time for other-time-traveling Barry to awaken. When they return to the night the Particle Accelerator exploded, Barry and Nora are nearly caught by Wells/Thawne. They hide out in the Time Vault to wait out the explosion and have a heart-to-heart before planting the newly-activated Dark Matter device in one of the pillars of the Central City Hospital near where Grace’s room will be four years into the future. Of course, regardless of all the careful planning and work involved, Team Flash’s plan to stop Cicada with their new device ultimately fails. At first, the device pulls away Orlin’s dagger and Barry finally gets a few good hits in before Cisco breaches the dagger into outer space (why in the HELL didn’t he vibe it to Apokolips or another dimension?! ), but Cicada’s control over the weapon was clearly grossly underestimated and he summons it back down to him, quickly negating the team’s powers and dispatching them all at once. Only Caitlin calling forth her Killer Frost persona prevents the metahuman bloodbath (and an untimely end to the series as a result of everyone being dead). It is afterwards theorized by the team that Caitlin/Killer Frost is immune to the effects of Cicada’s dagger due to her powers being unlike those of other metas by not originating from Dark Matter. Nora notices her journal missing from where she had left it, and when she asks Sherloque about it, he reveals that he took it to attempt to decipher the language – which Nora tells him she created as a way to always remember her father, regardless of changes in the timeline. 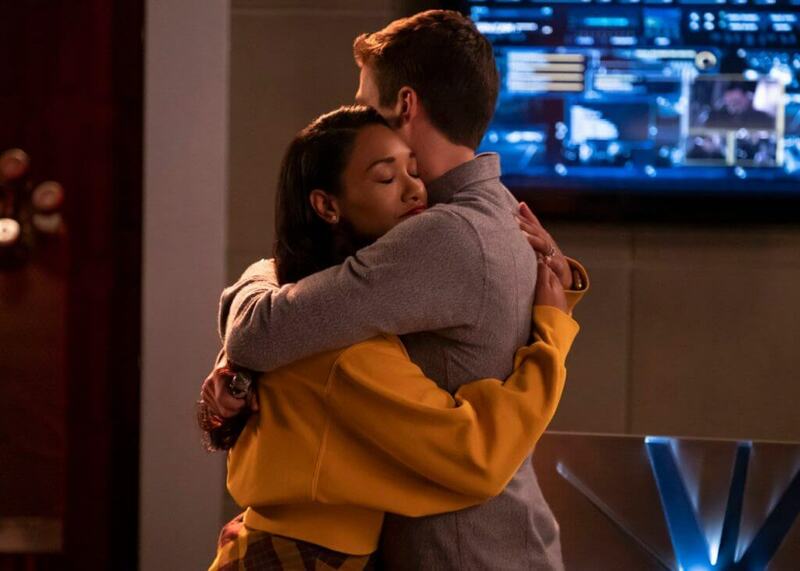 After she leaves, Sherloque examines a computer screen that has a single sentence translated as “The timeline is malleable.” Nora runs to the night Barry’s mother was murdered and watches her grandparents laugh and whisper sweet words of love to each other over a glass of wine before Barry joins her. She asks him if he ever thinks about stopping the tragedy about to happen (boy is that rich; #Flashpoint?) and then they race off together after Nora cracks an “old man” joke. Nora is then seen in the Time Vault telling Gideon to record the data from her journal before running back to the future of 2049 and Iron Heights prison, revealing she’s been sending information to none other than Eobard Thawne. “What’s Past is Prologue” is immense fun from start to finish, with terrific interactions between everyone involved. Even though it’s excellent throughout, the highlight is seeing the great Tom Cavanagh (still the shining beacon of the series, even though I’m not too keen on this season’s incarnation of Wells just yet) rifle through some of his older takes on the character. No joke, the seeming ease with which Cavanagh changes roles from scene to scene is incredible and, as someone who has studied acting with great love, I bow down before the greatness of Tom. As mentioned earlier, “What’s Past is Prologue” manages to deftly avoid the tropes that a story of its sort tends to fall into, and the writers use prior villains just right – in fact, even better than I realized upon first viewing. Take note of how the importance of each speedster villain with regards to the present story being told ramps up. It begins with Savitar merely being there for the sole purpose of procuring a shard of his armor (and throwing the Time Wraith into the mix of threats). The episode then moves on to Zoom, whose importance and threat level is raised from his season successor in that he discovered present-day Barry and Nora – he also realizes that Nora is another speedster and desires to steal her Speed Force energy just as he had his timeline’s Barry Allen. This all culminates with Barry and Nora enlisting the help of Eobard Thawne – the Reverse Flash, whose importance and underlying threat level is clearly cranked up from the two prior villains, who also would be his season successors. This parallels his reverse nature and tying into the end reveal of Nora apparently working for Thawne in the year 2049 by sending him information about how the timeline has been changing. Thawne, of course, is a student of the timeline, always possessing far more information about events that transpire than everyone else around him. Given all of the events that transpired within the airtime of The Flash’s 100th hour on the CW, where on Earth-1 are they going with all of this? That is the real question here. Earlier episodes have hinted that Nora is not all she seems, and Eobard Thawne mentions Dawn Allen (as previously stated, Barry’s actual future daughter from the comic books). Paying careful attention to the interactions between the three speedsters – in particular Thawne’s reaction to both Nora’s presence and her name – reveals that Thawne is not entirely sold on who Nora says she is. Nora has been growing as a character over the last couple of episodes, and if one were to ask me personally (and I feel I know enough Flash Facts), I would say that I think the CW is still going to run with Nora being Barry’s actual daughter, with the mentioning of Dawn being little more than another Earth’s/timeline’s Easter egg. So now that we’ve had real, visual confirmation that there is a lot more going on with Nora than she lets on, one must wonder what course the season will take moving forward. The Flash has played hop-scotch with the comic book continuity for five seasons now, and the only thing I feel I can be certain of is the move towards a Crisis on Infinite Earths event. If I have one gripe with “What’s Past is Prologue,” it is that they do not address the fact that Zoom chases after present-day Barry and Nora into the timestream and is taken away by a Time Wraith. So… how does that affect the events of Season 2? Other than that, and the fact that Cicada continues to be a non-intimidating and boring villain, it’s hard to complain about “What’s Past is Prologue” much. An interesting side-note regarding the prelude to the upcoming Elseworlds crossover event at the end of the episode is that the Green Arrow laying dead on the ground is wearing the suit of Smallville’s Green Arrow played by Justin Hartley. What does this mean? Is it intentional and hinting at a possible appearance by Hartley, who, at least for me, is a more accurate portrayal of the historically comedic character (rather than Diet Dark Knight – please don’t get me wrong, Stephen Amel is awesome), or was it literally just for the purposes of getting Smallville fanboys (such as myself, admittedly) all excited? I guess we’ll have to wait for this Sunday’s kick-off to the big crossover event! The Flash's 100th episode was great fun from starting line to finish line. It brought clarity (if only a little bit of it) to some of the questions surrounding Nora, and a wealth of great fan service (no, not that kind) for longtime viewers of the show. Great performances and interactions throughout make this undoubtedly the best and most fun episode of The Flash so far this season.